Can't attend? Follow OneMaker Group to know of future events! 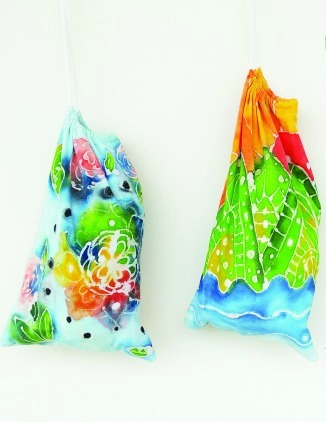 Learn the artisanal technique of batik with artist Cherlyn of art@home and textile artist Agatha "Agy" of Green Issues by Agy and in the process sew your own drawstring pouch using your own batik design. All materials included and participants take home a home DIY batik kit too! Class will only commence with 10 sign ups. OMG, art@home & Green Issues by Agy are the official partners of Singapore Design Week 2017. Check out www.designsingapore.org/SDW for more programmes this March!